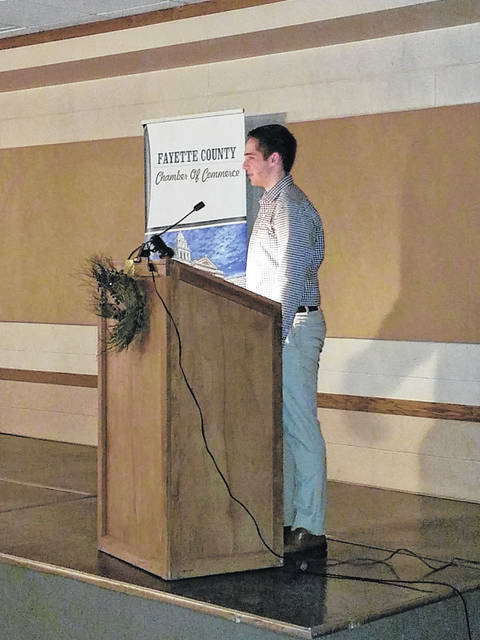 The Fayette County Chamber of Commerce — with corporate sponsor McDonald’s of Fayette County — held the seventh annual Groundhog Day Breakfast at the Mahan Building on the Fayette County Fairgrounds on Friday morning. The keynote speaker, Shawn Harper, presented a message on ripping the script to success and shifting mentality to a “winning” one. 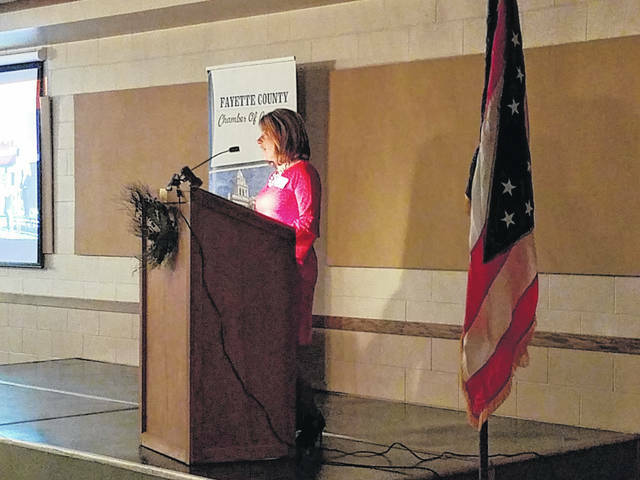 https://www.recordherald.com/wp-content/uploads/sites/27/2019/02/web1_20190201_072024-1.jpgFayette County Chamber of Commerce President Julie Bolender thanked guests for attending and sponsors/investors for the event and the Chamber of Commerce. 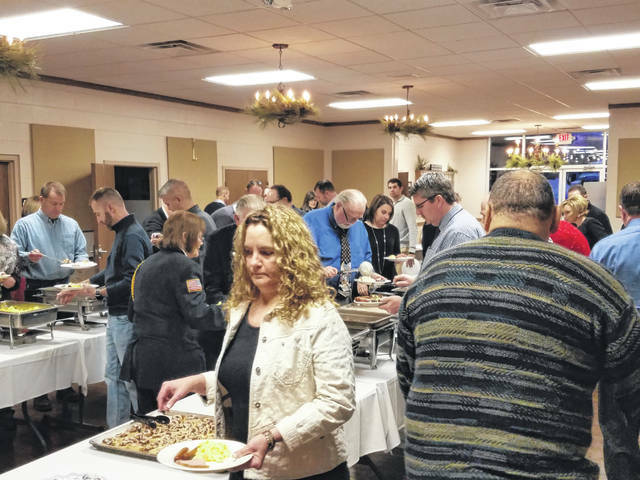 https://www.recordherald.com/wp-content/uploads/sites/27/2019/02/web1_20190201_073026-1.jpgThe crowd enjoyed a breakfast of fruit, biscuits and gravy, sausage links, ham, cinnamon rolls and more. 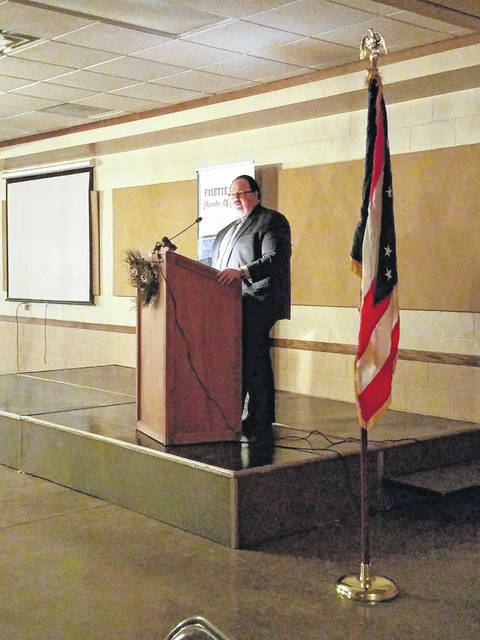 https://www.recordherald.com/wp-content/uploads/sites/27/2019/02/web1_20190201_080018-1.jpgTimothy McDermott — who serves as regional business consultant for the Ohio Bureau of Workers’ Compensation — took time to address the crowd Friday morning. 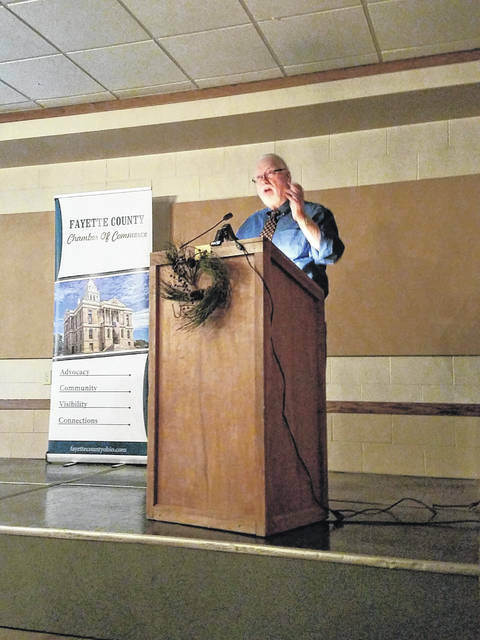 https://www.recordherald.com/wp-content/uploads/sites/27/2019/02/web1_20190201_081333-1.jpgNick Epifano, owner/operator of the McDonald’s of Fayette County, introduced both speakers to the crowd. https://www.recordherald.com/wp-content/uploads/sites/27/2019/02/web1_20190201_081855-1.jpgFormer Ohio FFA president Ryan Matthews spoke about his time in the program and how it has shaped his career and future. https://www.recordherald.com/wp-content/uploads/sites/27/2019/02/web1_20190201_082921-1.jpgThe Fayette County Chamber of Commerce — with corporate sponsor McDonald’s of Fayette County — held the seventh annual Groundhog Day Breakfast at the Mahan Building on the Fayette County Fairgrounds on Friday morning. 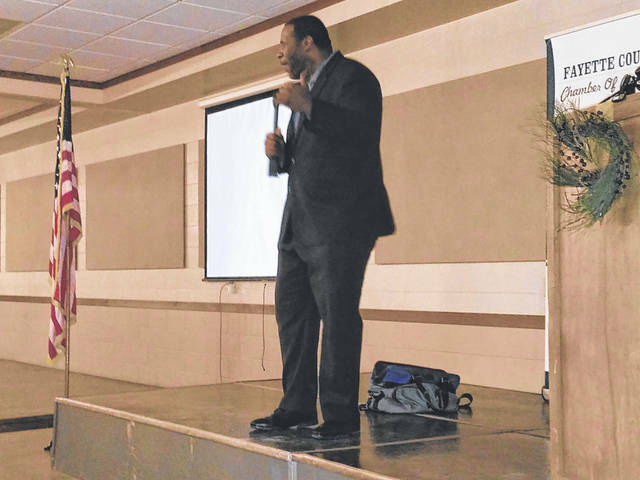 The keynote speaker, Shawn Harper, presented a message on ripping the script to success and shifting mentality to a “winning” one.